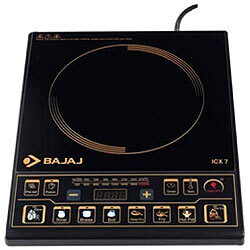 This Bajaj induction cooker helps you cook the finest meals in little time. It features reliable and long life tact switches, along with the ability to select different wattage as per your convenience. The cooker also has 8 preset cooking options along with variable temperature selection. 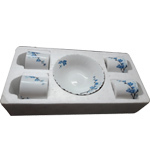 This induction cooker has much capacity and can be used to cook food for many people at a time.